Paul Duberstein, PhD, is Professor of Psychiatry, Medicine, and Family Medicine at the University of Rochester Medical Center (URMC), where he is the Director of Research in the Department of Medicine’s Division of Palliative Care. He earned a Ph.D. in Clinical-Community Psychology from SUNY/Buffalo, completed a psychology internship at McLean Hospital/Harvard Medical School, and received postdoctoral research training in geriatric mental health at URMC. In addition to his URMC appointments, he is affiliated with Göteborg University’s Neuroepidemiology Program (Sweden). Dr. Duberstein’s research aims to improve the lives of older adults and their caregivers, and he is particularly interested in mitigating disparities related to race and poverty. His projects have been funded by the American Foundation for Suicide Prevention, the Centers for Medicare and Medicaid Services, the Department of Defense, the National Cancer Institute, the National Center for Injury Prevention and Control, the National Institute on Aging, the National Institute on Alcohol Abuse and Alcoholism, and the National Institute of Mental Health. 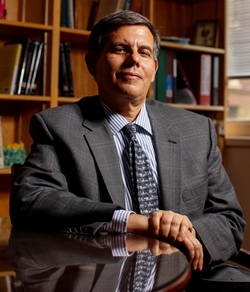 He has published more than 230 scientific papers, served as Editor-in-Chief of the American Psychological Association’s flagship aging journal (Psychology and Aging), and has received awards in recognition of his contributions to personality psychology, suicidology, faculty mentorship, and community outreach.